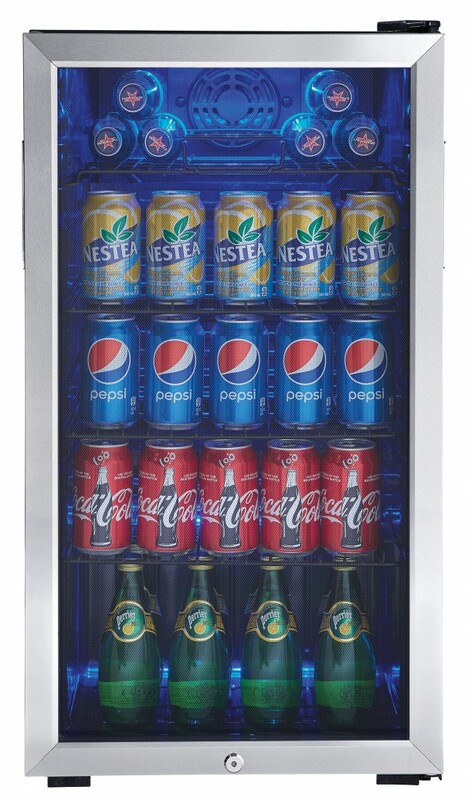 When friends and relatives drop by it’s always a good idea to be prepared to serve up some refreshing cold drinks from a spacious beverage center. 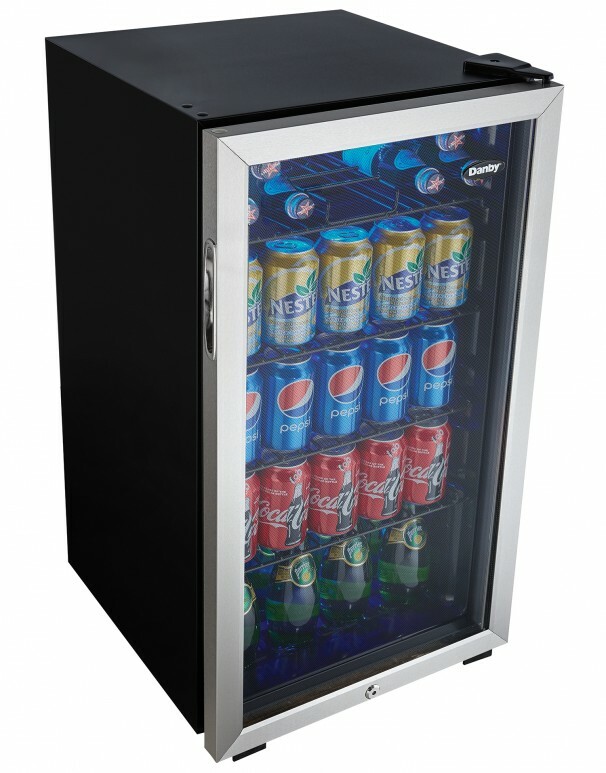 This esteemed model from Danby is the perfect solution as it offers 3.3 cubic feet (93.5 liters) of storage space and can hold up to 120 cans of your favorite drinks, meaning you’ll never find yourself shorthanded. 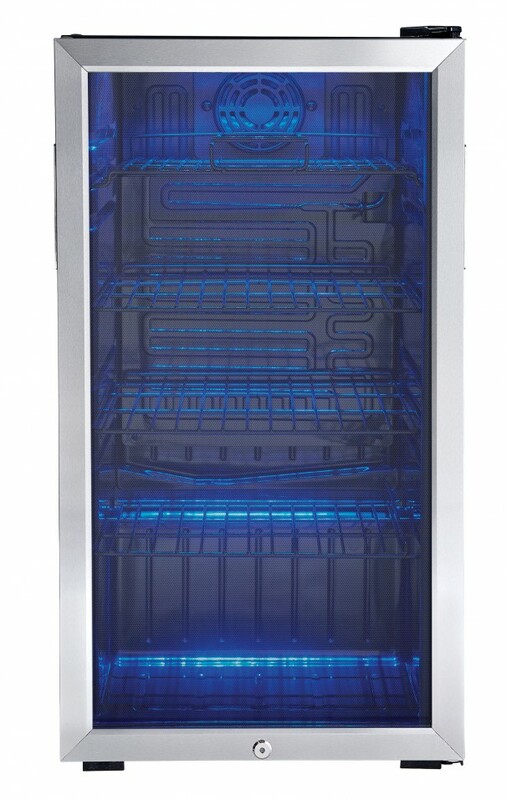 The glamorous appliance features a tempered glass door with stainless-steel trim which keeps your drinks cool by blocking out ultraviolet rays. The 3.5 black-wire interior shelves add an extra touch of class and the mechanical thermostat can be programmed from anywhere between 6°C and 14°C (43°F and 57°F). This unit offers peace of mind and security with its integrated lock and key feature and the bright interior is door activated. Both left and right-handed users will be delighted with the clever reversible door hinge which can be adjusted for either left or right-hand opening. 44.45 cm 17 8/16 "
Why can’t I have my unit in an outside kitchen or in the garage? Why does this void my warranty? 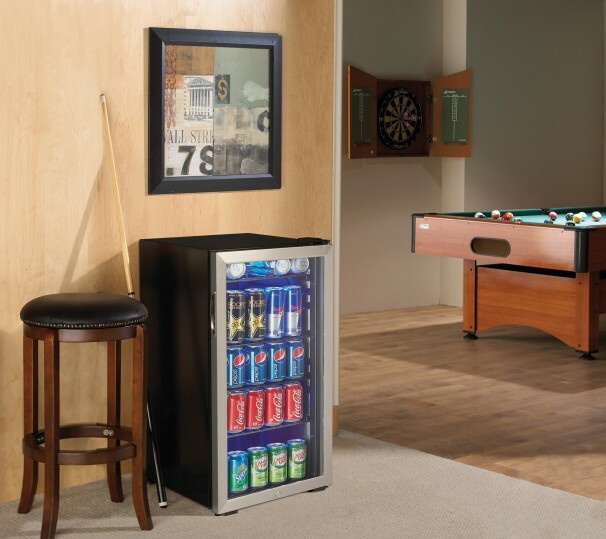 Our wine cellars and beverage centres are not designed for outside installation. This also includes anywhere that is not temperature controlled. ie. garages, porches, carports, etc. What is the optimal temperature for my wine? This will depend on your personal preference and the varietal you are storing. Sweet white wines are best stored between 41°F (5°C) and 46°F (8°C), while dry whites are best stored between 46°F (8°C) and 54°F (12°C). Reds are generally stored at a warmer temperature. Light to medium reds are best stored from 54°F (12°C) to 61°F (16°C) and full bodied reds are best from 63°F (17°C) to 66°F (19°C). My unit is flashing HI or LO what does this mean? Please consult your owner’s manual. 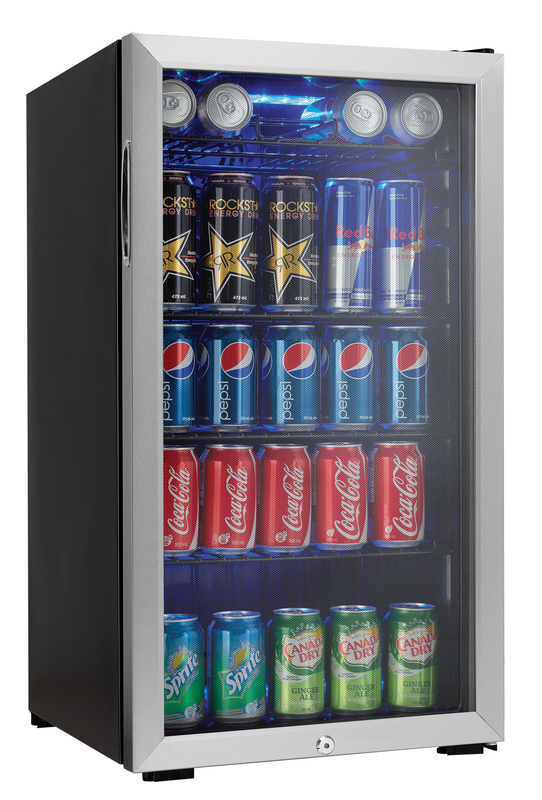 If too many bottles/cans are put in at once or the door has not been closed tightly, the unit will display the “HI” signal in the display panel. This is normal, please wait 5 minutes after you close the door and “HI” will disappear. It is normal that the cabinet shows “HI” or “LO” from time to time. If it occurs frequently or lasts for a long time, you can restart the unit by unplugging it. If the problem occurs once again after restart, please contact customer service. My unit isn’t cooling what should I do? Double check the temperature is set to your desired temperature. The fan cycles every 8-12 seconds, is this normal?